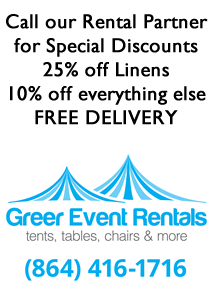 The map below will provide you with a detailed overview of downtown Greer. 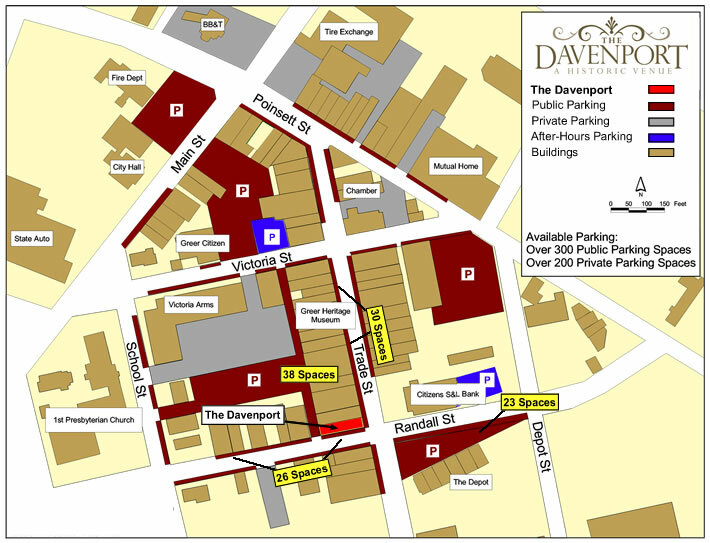 Use the map to determine where convenient parking areas are for your event at The Davenport. Click here to view the map as a PDF file.